The best Carburetor Rebuild Kits in town . This service kit contains the parts to service 1 carburettor. For the exact contents, please refer to the photograph which shows all the parts and items included in this kit. 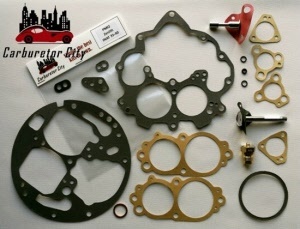 This is a Carburetor City carburetor rebuild kit that was manufactured for us in Italy to an exceedingly high standard. The best Service Kits in Town!